Many famous poets came from Matsuyama, for example the great Masaoka Shiki and Takahama Kyoshi. 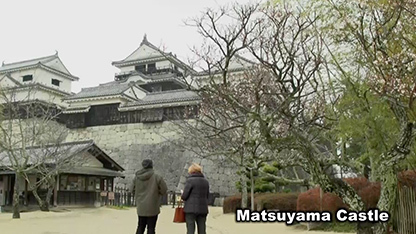 It is the reason that Matsuyama is loved as a “Haito”Haiku Capital by haiku fans. Shiki Masaoka established the prototype of the modern haiku in 1890’s, “Haiku is a form of poetry consisting of 3 lines of 5-7-5 on”. Takahama Kyoshi is the person who practiced how to create a haiku that Shiki reformed and made it popular in Japan. 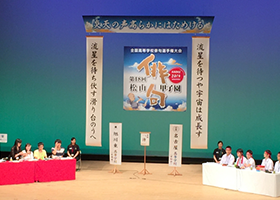 The Haiku national competition for high school students is held annually in Matsuyama, Ehime Prefecture in the summer. Each school has teams of 5 members competing to compose and appreciate haiku. Matsuyama is a city of haiku that has produced a number of haiku poets. 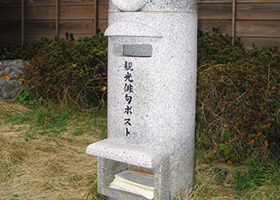 Haiku poems can be posted at special boxes around the city. There are haiku carved into stones called Kuhi at fine locations. There is even trams displaying haiku on them. 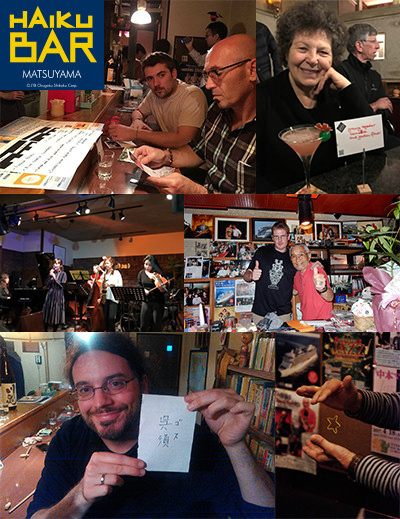 Matsuyama citizens familiar with haiku on a daily basis. They also gather haiku poets and haiku events in various places. Take a photo and complete it with a haikuLet's enjoy photo-haiku! Sometimes, just a photograph isn't enough to express your momentary thoughts and feelings.But with a photo-haiku, you can say it all! Just add three well-considered lines to complete your piece. 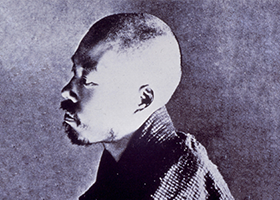 2017 will be the 150th anniversary of the birth of the great haiku master poet Shiki Masaoka. There are several haiku events being planned for haiku enthusiast. 2. 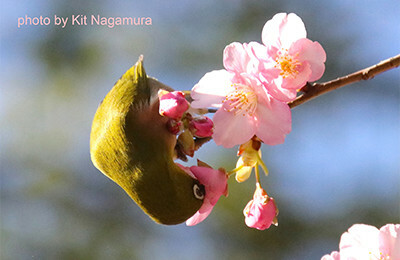 A Symposium event with the theme of International Photo Haiku will be held. 3. A Ginko inspirational tour making Haiku with an International Photo Haiku Instructor will be held. ⇒The tour for the Haiku enthusiast will be connected with three cities : Hiroshima the city of International peace and culture , the world heritage site of Miyajima and also including the Haiku capital city of Matsuyama . Why don't you come to experience the haiku in Matsuyama? There are tours and events that anyone can enjoy in “Haito” Haiku Capital Matsuyama. The haiku experience in Matsuyama will bring you a deep world of feeling. It must be fun to walk along the footsteps of great haiku poets in the town where Masaoka Shiki ,Takahama Kyoshi and Taneda Santōka once lived. Now, you can also come to Matsuyama! And wonderful haiku experience is waiting for you. Come to Matsuyama, the city of HAIKU !! tourist attraction utilizing regional resources" in 2017. Copyright © 2017 Haiku Capital Matsuyama. All rights reserved.